Many victims are unaware of their own victimization. Be able to spot the warning signs your data has been compromised. Know what to do if it happens to you. Learn online strategies to manage risks associated with participation in social media; learn strategies for managing risks for data which is collected without your knowledge. 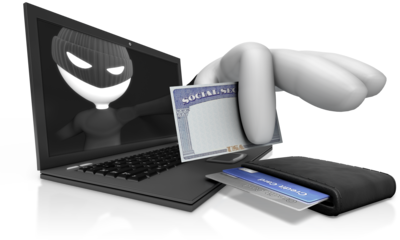 Your own actions are contributing to the risk of your personal and business identity theft. The Hunterdon County Chamber of Commerce will be hosting an Identity Theft Seminar on October 24th from 12 p.m. to 2 p.m. at the Hampton Inn in Flemington, presented by David Watts of Allied Business Solutions and Robert Kenific Jr. of Bedard, Kurowicki & Co., CPA’s, PC. The cost to attend the seminar is $25 and includes lunch. David B. Watts is a fraud investigator whose experience includes positions as a police detective, insurance claims investigator and insurance fraud investigator. David has continued this pursuit of fraud investigations through his business, Allied Business Solutions. David is a Certified Legal Investigator, Certified Fraud Examiner and a Certified Identity Theft Investigator. David brings over 35 years’ experience to this presentation. Robert Kenific Jr., CPA, CFE is a Certified Public Accountant with licenses in New York and New Jersey and a Certified Fraud Examiner with over 25 years’ experience. Robert is one of the members of the litigation support team of Bedard Kurowicki & Co. Robert’s experience includes fraud investigation and assisting attorneys in evaluating accounting data for their court cases. After time with these two professionals, you will learn defensive strategies and be equipped to manage these risks.